MOBIZ: Possibly a new concept Mobile Megastore in China? With the opening yesterday of its first megastore, AT&T is trying to do the seemingly impossible: make buying cellular service an almost entertaining experience. 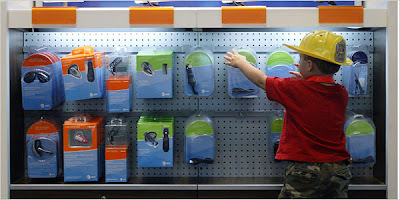 The 5,000-square-foot store in the Compaq Center complex in Houston is the first of 11 AT&T Experience stores planned for opening this year with the aim of making shopping for communications equipment less daunting and, perhaps, more fun. With so many mega departmental stores and shopping malls in china, its not surprising that a new Mega Mobile Concept Store is brewing here in China afterall China is boasting a mobile subscriber base of 500 million.